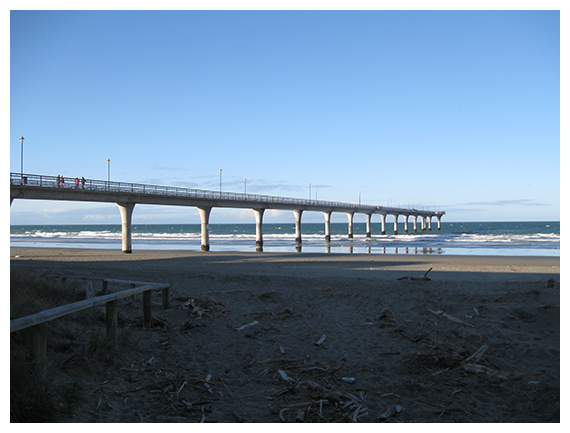 I have just returned to Auckland from a long weekend in Christchurch. I had a bit of trepidation about returning there after so many years. 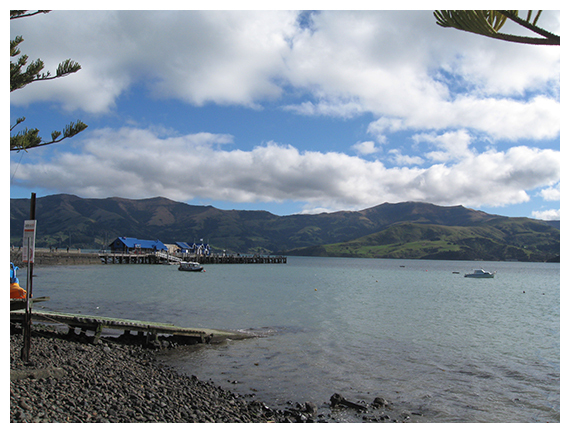 In fact, I was last there in 2009, so my memories of the city were pre-quake. Even now, nearly 4 years after the September 2010 earthquake, the city is still in disrepair. 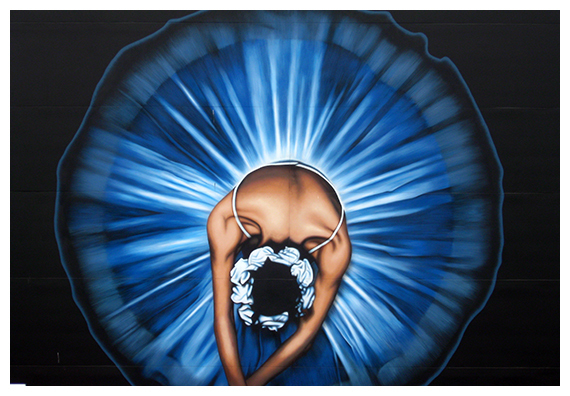 But what I saw was growth. I saw opportunity. I spoke to many people. Locals that worked in jobs: hospitality, retail, trades. There is a sense of absolute optimism and resilience there. 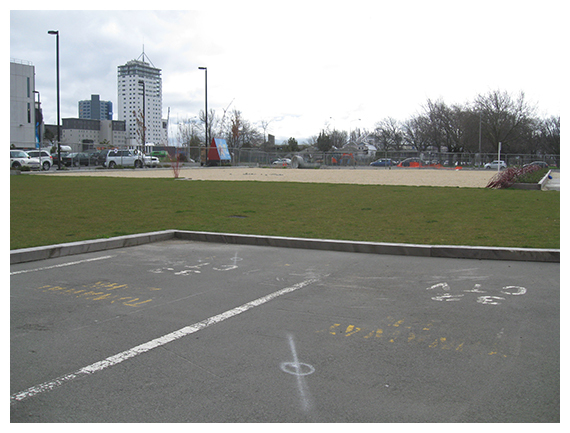 They know that the Christchurch that will rise from the ashes is going to be something special. The heart of the city still beats. There is an understanding amongst locals that this is a long term project. 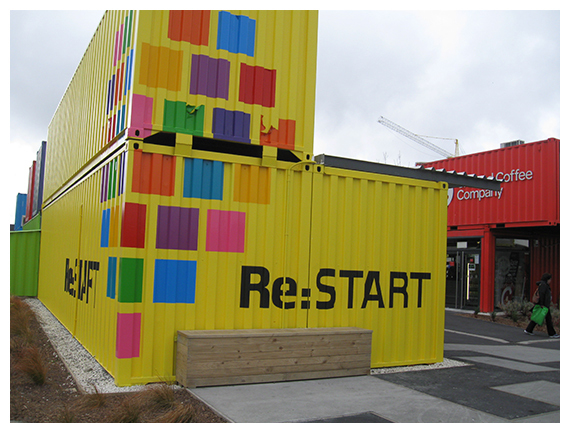 Innovation such as the re:Start mall is fantastic and helps instil the vision of the future. The conversations were eye-opening. Politically there are disparate views, but there is a coming together of shared destiny. The insurance companies seem to have been absolute bastards and are involved in outrageous behaviour at the expense of the people of the City – and I am sure that this is something that will be addressed in the future. The rebuilding of streets such as New Regent St gives hope. Many of you know that I lost friends in the CTV building collapse, and this trip presented my first opportunity to say goodbye and reflect on the character of those lost. 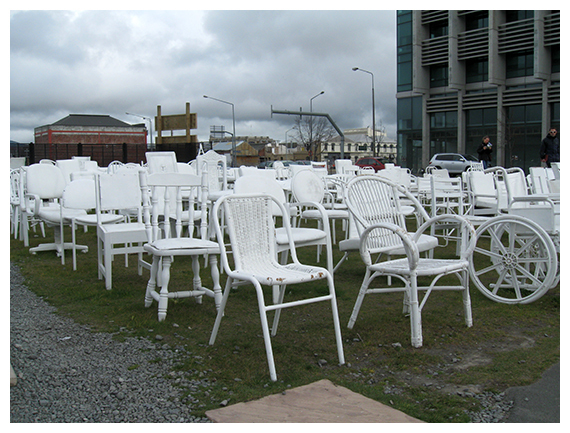 Seeing the 185 empty chairs installation was poignant. Seeing the memorial on the site was moving and I am grateful I was able to spend some time there. I loved seeing how in the midst of the work of removing derelict buildings, new buildings are going up. I loved seeing how random spaces are being turned into sculpture installations and how street art is prevalent. Others being turned into laneways with bars and diners, ready for when the people return to the CBD. It’s so healthy seeing how people are beautifying things that would normally remind of a desert experience. Where there are shattered pillars, there can also be colour and life. 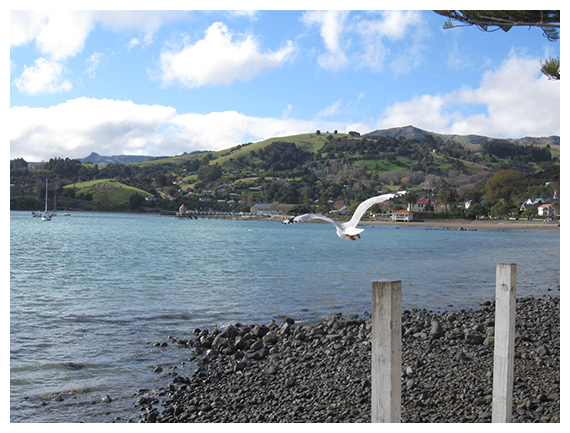 We also visited New Brighton and Akaroa. 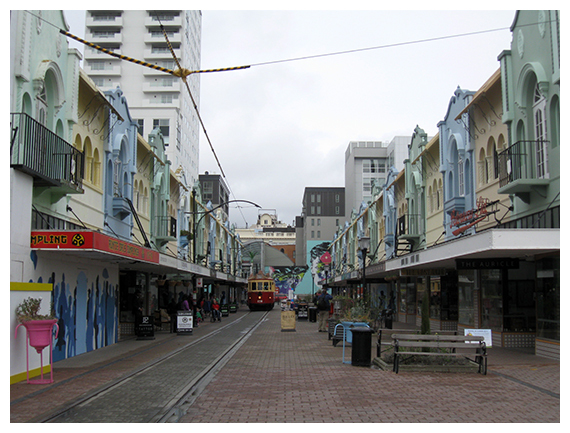 Contrasting destinations, accessed through very different landscapes, but collectively showing that Christchurch will survive. And will survive well. I’m glad I visited and stayed. It was a good time for closure. 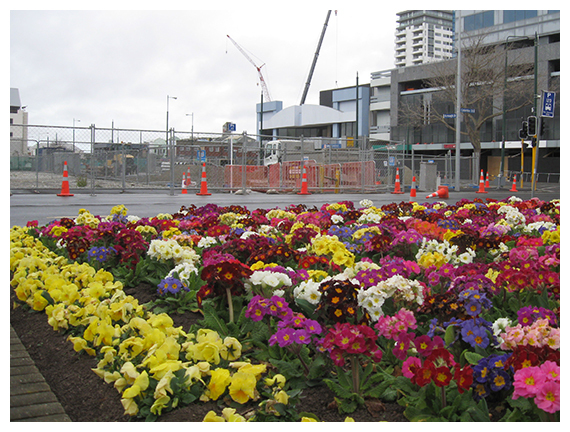 Christchurch is still a beautiful city, with amazing people. I will be returning sooner than later. 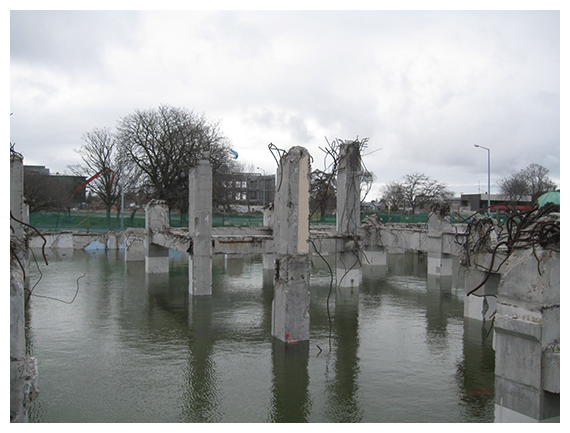 Murray would be proud and pleased to see what Christchurch is becoming. RIP. NOTE: Special Thanks to Jeff and Naomi of Centrepoint on Colombo. Fanastic motel, and fab service! I heartily recommend you stay there!